Barnet School Chef Wins Chef of the Year Competition! By ISS Education on May 26, 2017 in Our blog! Adam Gridley, catering manager at Holly Park Primary School in Barnet, was crowned Chef of the Year at ISS Facility Services Education’s annual Chef of the Year competition. On Thursday 25th May, the education caterers held the event to celebrate the culinary skills of their chefs, who work in various schools across England. 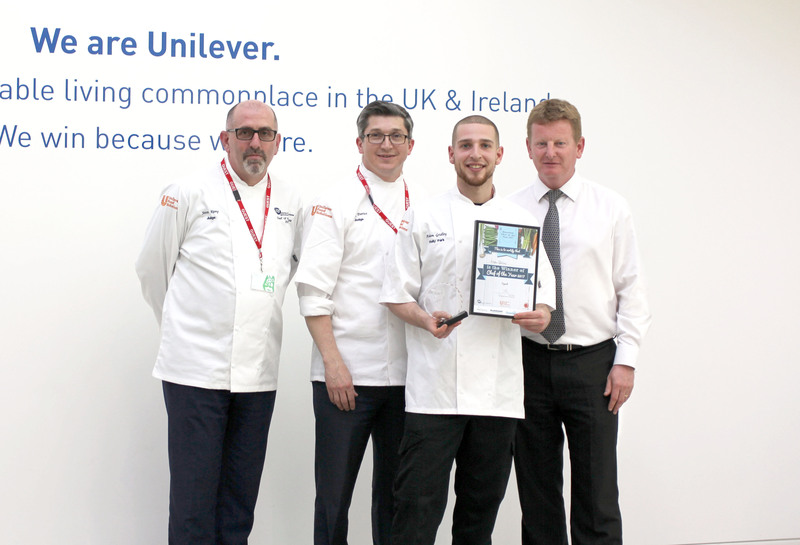 The event was hosted by Unilever, in the state-of-the-art Chefmanship Centre in Leatherhead, Surrey. Adam competed against 13 other contestants for the top title. Participants were selected from different regions to compete in the first round of heats. The judging panel, which included school meals champion, Pat Fellows MBE, and members of ISS Education’s senior management team, scrutinized the dishes before whittling the competition down to a handful of finalists. 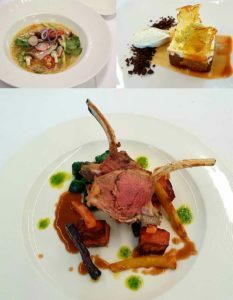 In order to win a place in the final, contestants were tasked to create a main and dessert dish, incorporating some set ingredients. 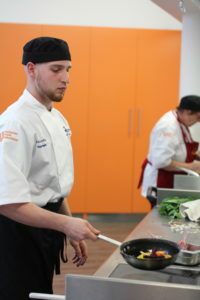 The menus were submitted in advance and competitors had an hour and a half to cook and serve their creations on the day. Adam served Chinese five spiced chicken in an Asian broth with rice noodles for his main dish, followed by a very impressive chocolate cappuccino mousse with caramel sauce and lavender for dessert. Eight challengers went through to the final cook off, where they had to prepare a dish from mystery ingredients. With just 15 minutes to plan their menu, contestants had to create a main dish from duck, lamb or cod and a selection of fresh vegetables, which were kindly provided by supplier NCB. They then had one hour to cook and present the final plated dishes for the judges to consider. After difficult deliberations by the judges, Adam was announced as ISS Education’s Chef of the Year for 2017. His winning dishcomprised of cutlets of lamb, butternut fondants, roasted heritage carrots, wilted greens and a red wine and herb jus. Karla Bailey, Catering Manager at Woodmansterne Primary School in Lambeth came second and Sulu Ravel from Chadwell Primary School in Redbridge gained third place. Each of the winners were presented with prizes, which included high street vouchers, knife sets and certificates. A special surprise was announced, courtesy of ISS judge, Chris Towler – Head of Excellence Catering, which will see winner, Adam, travel to ISS’ head office in Copenhagen to work alongside some of his Danish colleagues.